Jeremy is an experienced COO and Commercial Director who helps technology businesses commercialise their ideas and intellectual property. He developed his engineering and commercial expertise while working for Sun Microsystems and various small and medium-sized technology companies. He has considerable experience of software and hardware engineering in a variety of technical and managerial roles and has overseen the development of technology products with both UK and offshore resource. • when at a leading supplier of financial software products and services to the NHS, he more than quadrupled the company’s profitability and turnover in less than 4 years. • obtain the funding needed to implement these strategies. He then leads key operational and business development efforts – including sales and marketing, managing commercial relationships with customers and leading quality and change management initiatives – that grow businesses in a sustainable manner. 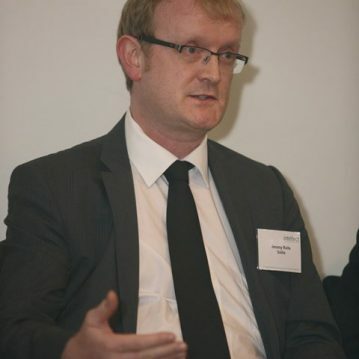 Jeremy has a BSc (Hons) in Computer Science and Mathematics from the University of York and an MBA in Strategic Management from Kingston Business School. He is a former winner of a British Design Award and is the lead inventor on several US patents.